A 10-year-old girl named Deeqa Dahir Nuur died this week after what was supposed to be a standard female genital mutilation surgery. According to The Guardian, Nurr underwent the procedure on the 14th of July in her home village, Olol. The procedure took a complicated turn when the unnamed operator severed a vein. She was taken to the hospital two days later when the family realized they were unable to control the hemorrhaging themselves. Nuur bled to death. It wasn’t until Nuur died that her parents were officially notified of the potential risk of death in FGM operations, and it’s unlikely that the person who operated on her will face any real consequences. As there are seldom any reported complications or deaths linked to FGM, Nuur’s parents likely walked into the village’s traditional cutter that day without fear of negative repercussions. The cutter is currently in custody and the procedure is constitutionally illegal in Somalia, but there is no legislation that punishes those who fail to adhere to those rules. Although Nuur’s case is one of the few confirmed cases in the history of the operation, there are believed to be dozens of other unknown cases as many people in local villages are sworn to secrecy and rarely seek professional help. 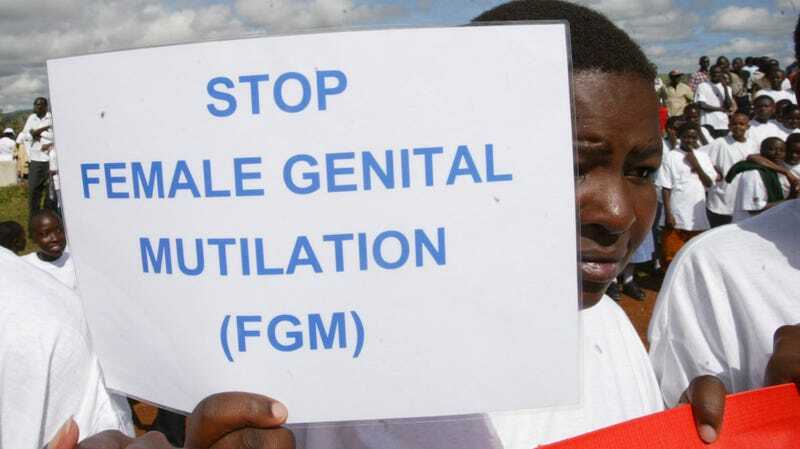 Ninety-eight percent of women between the ages of 15-49 in Somalia have been submitted to this procedure, which is the highest percentage of anywhere in the world. Additionally, over 80% of the girls undergo the procedure between the ages of five to nine, giving them no say over a decision that will undoubtedly have lifelong medical and psychological consequences.